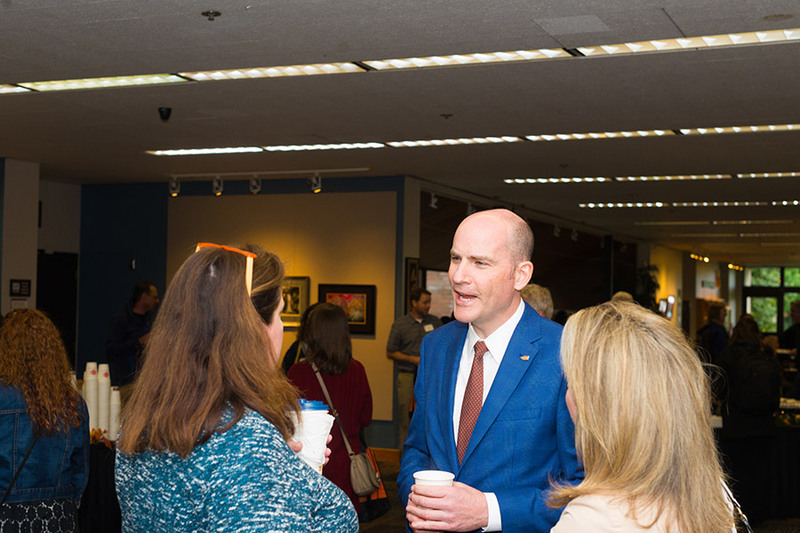 Provost Ed Feser networks with OSU faculty and staff at the Get Connected event hosted by the LaSells Stewart Center. 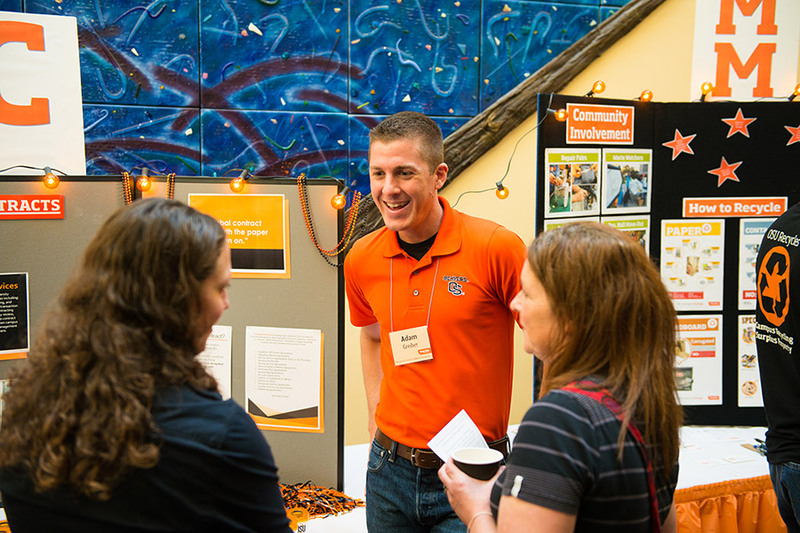 The expo is a great way to advertise your services, programs or events other campus units. Many opportunities to collaborate between units start with conversations at the expo! 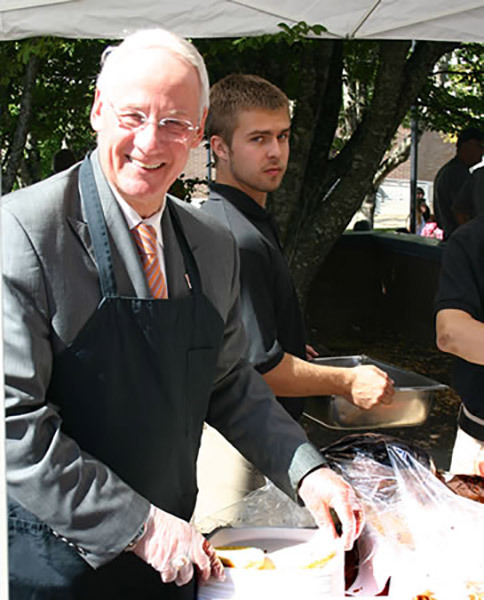 President Ed Ray enjoys greeting OSU employees while serving lunch after the keynote session.